Reason the 32332W-B McLaren F1 GTR White MR-03 is less expensive? New guy here, and have a couple initial questions. 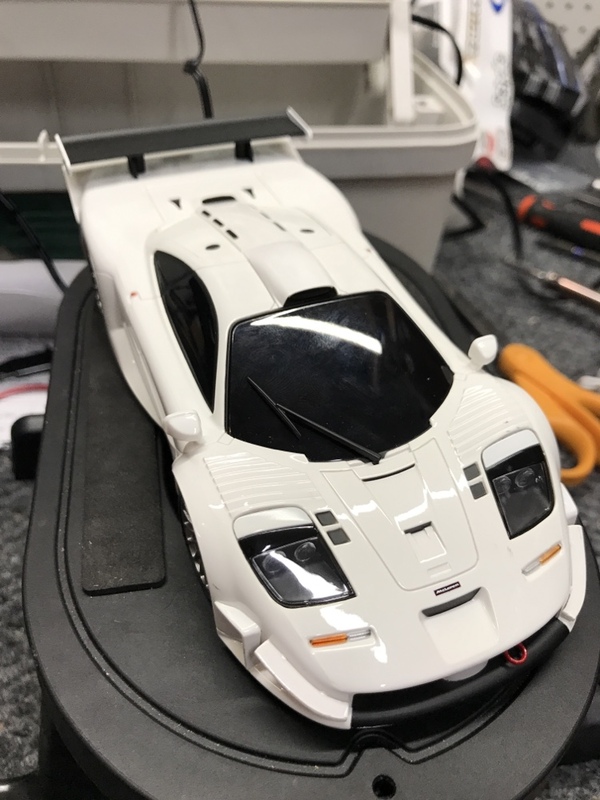 I noticed the 32332W-B MINI-Z RWD McLaren F1 GTR White MINI-Z RWD MR-03 RS (which I have since purchased) and one or two others are quite a bit less expensive than the majority of other MR-03s. Is there a well-known reason for this? I tried to compare specs or features, and I couldn't find an obvious reason. No complaints, it's turned out to be a great first mini-z for me. Picture for proof I'm an owner! Number of things play into this. The specific model chosen may have higher licensing costs that are carried in the cost. Also depends on what version your looking at, which electronics it includes. Could also be a less desirable model a shop/Kyosho is simply looking to clear out. Kyosho often discounts stuff to retailers, it’s up to the retailer to pass that savings on or not. A retailer may be lowering the cost appropriately while other are not or others did not buy at the same low cost thus maintain higher price. Kyosho doesn’t publicly advertise these sales to retailer so it often just looks like some stores have much higher markups, which some really do. What I’ve always found hilarious is Kyosho MSRP they advertise to retailers suggesting they are providing a much better deal as it’s more often than not grounded in reality or market rate at all but some ‘premium’ branding inflated cost assumption suggesting there retailer pricing is much better than it really is. There are rather small margins on mini-z stuff in general and many have to keep it that way simply to stay competitive. The only difference that I am aware between the McLaren long tail and the other RWD mro3 rtr, is the mclaren not including bearings. I feel that the low price on this single car makes the hobby approachable but more people, and kyosho knows the real money maker is the bodies. I’ll admit, I would have only bought the cheaper one to start, but within days... I’ve already spent hundreds on other upgrades, I’m ready to buy some rcp tracks, and I’m already looking at new bodies. It's easy to get hooked! I wouldn't want to try to figure out how much I've spent over the years... it's easy just to keep going. The scale realism combined with how customizable they are really sets them apart. I sense an immediate attraction to HFAY. But with no clubs around (Kansas), seems like I’d have to buy a couple RCP tracks for a basement course. We are in a similar situation. We bought 2 wide L's and a timing system and now our group of 3 friends is a "club" in Eastern WA State. If you can find 3 total racers you can compete in HFAY. We have a blast racing the PDX crew and we look forward to racing with some new clubs this winter. Last edited by TPDazzle; 2019.01.04 at 10:46 PM. Our new group of 7 racers will be competing in HFAY for the first time starting this month. We also are very exited about it. Yes we are very excited about it. I race with Qball an we are having a great time. We have been working on the cars for several months now but seems like we have found combinations that work for us. Have fun with it and good luck finding a few guys to race with. Well, 1 wide L is on its way. I’ll turn circles for awhile while recruiting.